I can’t believe another whole year has passed and here we are again, poised and staring a fresh new year in the face. This is the time of year we generally all make goals for ourselves, plan to be better, try harder, achieve more, embark on something new. We ponder what might have been, deliberate on what transpired, then think to the future and strive to improve by setting ourselves generally unrealistic goals. A new year, a new you, new resolutions, new dreams, new resolve! Yet surviving a regular day raising little people can already feel like a huge achievement. No need to add any grand life changing ambitions/resolutions into the mix. So, what if this year you didn’t make any elaborate resolutions? You didn't vow to lose 20lbs, or start attending hot yoga classes, to give up chocolate or coffee (terrible idea by the way) or do that Rajasthani detox cleanse. We work incredibly hard as mothers, so why don’t we give ourselves a break from all that and commit only to focus on a few simple achievable things: embracing the present, self acceptance and seeking more enjoyment from the ordinary moments. Because sometimes choosing and seeking and enjoying simplicity can be what we needed most in our lives. I don’t know about you, but when I think about 2017, I reflect on my year of mothering, my mistakes, my regrets, the areas where I feel I 'must try harder'. Probably because in this moment, it is motherhood the defines me. Being a mummy of four has taught me many things. That I need to realize and make peace with my limitations, make fewer comparisons with others, find acceptance in the fact that despite my very best efforts, I’m not a super hero. I beat myself up about so many things. I’m my own worst critic, but what I’m finding is the more I let go and succumb, the easier and more enjoyable it is all becoming. Grand gestures, big adventures, day trips, special treats, gifts are all incredible. What I’m getting at though is there are so many ways to enjoy magical quality time with your kiddies, so many ordinary moments, which when viewed in the right way mean everything. They don't require you to leave the house. They don’t cost big money. They are not energy sinks or immensely time consuming. The only thing they require is you, for you to be present! I may not be able to take my two year old to the library for one on one time to sit in a cozy corner and read books together all morning, or attend all the toddler groups, but he can join me during my morning shower, and I can invite him to join me under a cozy blanket on the sofa and read his favourite books while I breastfeed, rub his back for an extra five minutes at bed time, eat marmite sandwiches together at lunch and tell him he is loved countless times during each day. I may not have it in me to sign my daughter up for dance/gym classes, or organise/host every playdate she requests, but I can lay with her at night and tell her the story of the day she was born while stroking her hair. While running errands together make the time to enjoy a hot chocolate on the way home, dance with her to her favourite song (Happy by Pharrell Williams), take walks in the garden, say yes to tee parties on the playroom floor and tell her she is loved countless times during the day. 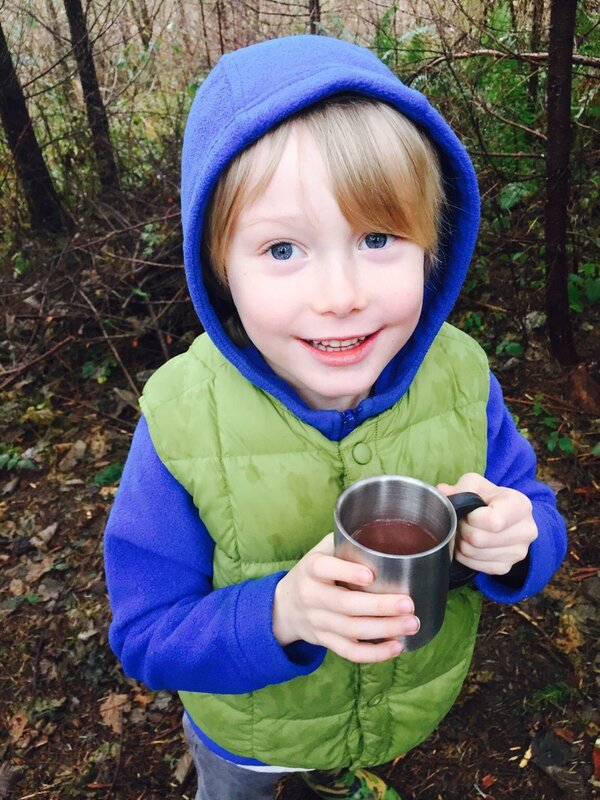 I am not able to take my oldest son to the museum in search of dinosaur bones, (just now), but we can take a little hike together in our forest and enjoy a flask of hot chocolate, look out of windows with his new binoculars and spot birds, bake him his favorite cookies, build Legos and tell him he is loved countless times each day. I can’t make it to baby sign class and music time, but I can be there to hold her eye contact each time she feeds, enjoy long evening baths and kiss her sweet soft skin while whispering I love you countless times every day. In the chaos of daily life with four kids it’s easy to look over these moments, to worry I’m not enough, but ten quality, engaged minutes can be so meaningful. When the daily grind thunders on around you, take some time to live it, enjoy it, breath it all in. Inhale freshly washed silky hair. Run your hand across a soft belly. Cozy up under a blanket on the sofa, with a pile of your kiddies’ favourite books…everything else can wait! Bake your kiddies’ favourite cookies...best enjoyed together after a long walk with a mug of hot chocolate. Lay with them until they fall gently to sleep, stroking their back. Say yes to peanut butter sandwiches for dinner because that means you have more time to play. Dance wildly with them in the living room. Because you got this Mama. You are enough (no resolutions required). Wishing you a very Happy New year, thank you so much for being part of our journey in 2017. 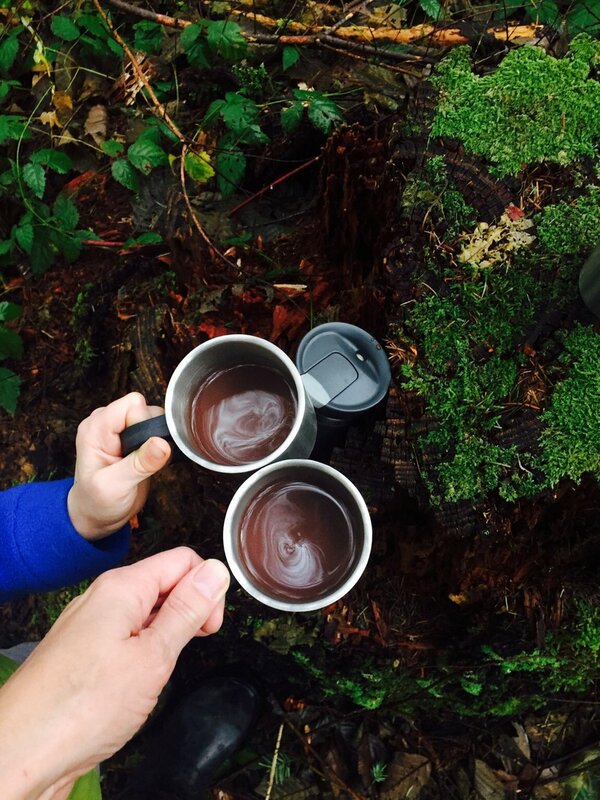 12 Cups of Tea - Journeying through motherhood with a cup of tea in hand.